For many years, the conventional wisdom in many churches in the United States has been that the kingdom of God that Jesus proclaims and brings is apolitical -- and this even after the crucial role that religious people and institutions played in the temperance, abolition and Civil Rights movements, in particular. On the face of it, this seems to be the sense of Jesus' assertion to Pointius Pliate: "My Kingdom is not of this world" (John 18:36, KJV). By contrast, a number of contemporary theologians and biblical exegetes have turned this statement on its head to retrieve a radically political Jesus: Biblical scholars ranging from N.T. Wright to Richard Horsley and constructive thinkers from Gustavo Gutierrez to Jacqueline Grant have promoted this trend. A number of factors, I think, make it difficult to assimilate this paradigm more broadly in the North American religious context. Strong traditions situate theological concerns squarely within private religious experience, and the civic and legal heritage of separating church and state, perhaps, encourages believers to discern the work of the savior in spheres transcending the muck and mire of partisan politics. What's more, I think many folks in the U.S. have a strong, visceral antipathy to the realm of politics per se. Several years ago, after we had just moved to Northampton, Massachusetts, my wife and I visited a neighborhood meet-and-greet for a man running to represent our ward on the City Council. After introducing myself, I asked him to share his overall sense of city politics. He hemmed, hawed and equivocated a bit, clearly discomforted by negative connotations linked to the very word "politics." Here was a politician, no less, and my question had been innocuous -- or so I thought. But this candidate's reaction perhaps bespeaks an interesting phenomenon in the United States -- our common penchant to reduce complex public matters to issues of personal character. For all that we have going for us, sometimes I wonder if we're one of the most naive electorates on the planet when it comes to understanding the social dynamics of power politics. That said, I do understand the reticence to embroil Christ and his saving work within the often nauseating, obsequious and often just plain nasty sphere of politics. For my part, I try to avoid an unwholesome reductionism in the relationship of faith and theology to politics -- and I hope that is clear in what I've written on this blog under the rubric theo-politics. 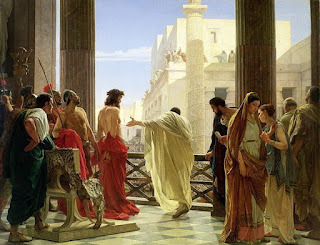 At the most basic level my programmatic statement is this: Jesus Christ and the Kingdom he proclaims and brings may be more than what can be reduced to the political sphere, but it certainly is not less than political. One thinker who has particularly enriched and challenged my understanding of Jesus Christ and his saving work as inherently socio-political is the Episcopal lawyer and lay theologian William Stringfellow. He believed politics -- the way human beings live together in this world -- is central to the Gospel and thus to the mission of the church. He dubbed his project of interpreting and critiquing the institutional and corporate life of human beings (that is, the realm of the "principalities and powers") "biblical politics." In fact, Stringfellow insists that the proper sphere of the Gospel just is politics: That is to say, the message of the Gospel centers on God's concern for and activity within this world and this history, and thus the realm of the polis. Is this reductionism? On the contrary: I would argue that this move represents his own attempt to retrieve the doctrine of the Incarnation. 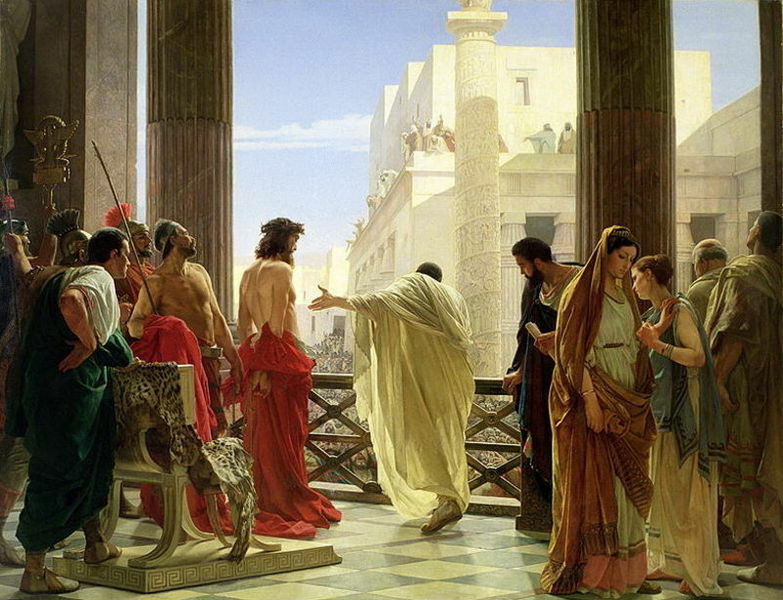 In a future post, I hope to look in some more detail at Stringfellow's political reading of Jesus' life story. I'm looking forward to your Stringfellow post! Sounds to me like Bonhoeffer before Bonhoeffer. Thanks! Stringfellow came of age theologically in the post-War era. Or maybe what you meant to say was like Bonhoeffer before Bonhoeffer became Bonhoeffer (that is, pre-prison letters Bonhoeffer)? Or something like that?